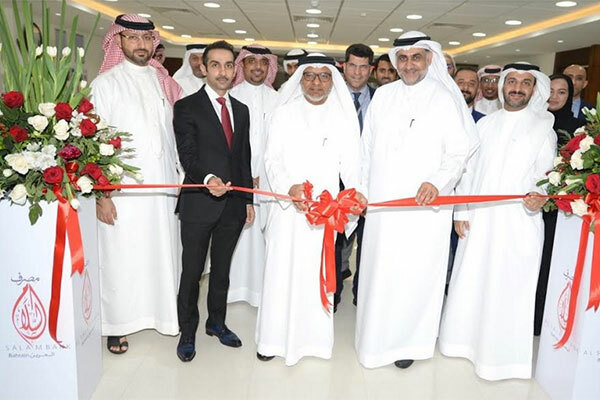 Al Salam Bank-Bahrain, one of the pioneering Shari’a-compliant banks in the Kingdom, has launched a new, bigger full-service branch in the growing commercial and residential area of Tubli. An official opening and ribbon-cutting ceremony of the new branch was presided over by Khalid Hamad Abdulrahman, executive director of Banking Supervision at the Central Bank of Bahrain (CBB) along with Anwar Murad, first deputy CEO of Al Salam Bank-Bahrain and senior officials from both CBB and Al Salam Bank-Bahrain. The new branch is strategically located on Tubli’s service road and it is reachable through Shaikh Isa bin Salman highway that enjoys close proximity to being conveniently accessible for customers residing in Tubli, Jidali, Zinj, Um Al Hussam, Adhari, A’Ali, and Sehla. “The new and relocated Tubli branch is an ideal location to offer our customers a suite of unique Shari’a-compliant banking products and is better-equipped with a 24 hours ATM and iBANK self-service channel allowing customers to apply for their desired banking products electronically that includes applying for opening an account or any of the financing facilities, request to print their account statements, view their accounts or card transactions and balances, make card payments in real-time and, make requests to receive new ATM PIN or cheque book and much more, all under one roof. “We would like to sincerely express our gratitude to the Central Bank of Bahrain and our stakeholders for their constant support and trust in Al Salam Bank,” he added.